In order to make purchasing easier, many businesses are forgoing the traditional purchasing process and instead issuing P cards to their employees. P cards, which are also known as procurement cards, are cards that can be used by your employees to make certain types of needed purchases. These cards can save time and money while helping you to maximize your profits and minimize your losses. How do P cards work? P cards are given to employees by the companies for whom they work. The employees are expected to use the cards according to the companies’ policies. Businesses can set limits for their P cards, including spending limits and merchant category restrictions. The procurement cards at Bento for Business have robust controls so that you can help to make certain that your employees only use their cards to make the purchases that you want them to make. The cards are connected to a business bank account so that you do not have to worry about qualifying for them based on your credit. You simply deposit money into one central account and use funds from it to designate the amounts you want to place on each card. The individual cards can be assigned like ghost cards to different departments. Ghost cards do not have individual employee names on them and instead have credit card numbers assigned to specific departments. You can also choose to have your employees’ names appear on their cards and designate the purchasing categories for each card according to the functions of their jobs. An office worker may use his or her procurement card to pay your company’s suppliers while a salesperson may use his or her card to pay for fuel while he or she is traveling. The cards allow you to tightly control your employees’ spending by allowing you to limit the types of spending that your employees can do. Employees who try to use their cards to buy other items will have their transactions instantly declined. 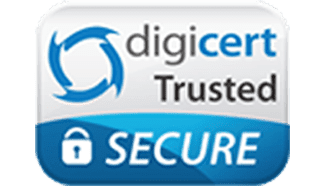 From your interactive dashboard, you will also be able to see that your employee tried to buy something that you did not authorize so that you can take the steps that you feel are necessary. You are also able to set daily, weekly or monthly spending limits so that you can stay within your budget. When you sign into your account, you will see all of your cards and how your money is being spent. This may help your accountant to track your company’s spending more easily so that he or she can advise you on areas in which you might make cuts. The data can be exported directly into the related expense categories in your accounting software, making it simple to reconcile your accounts and to see where your business is at. 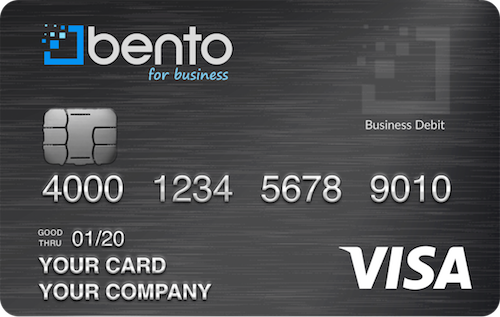 Using the business Visa debit cards from Bento for Business can help you to control purchasing at your business. Your deposits are insured up to $250,000 by the FDIC, so your money will be safe. Sign up for a 60-day free trial today or call us at 866.220.8455 to learn more.